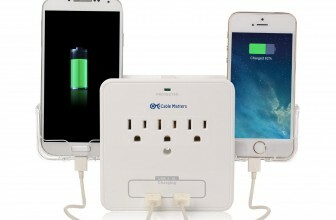 Wall mount Surge protector meant for college students, comes with 3 outlets and 2 USB outlets. Also includes 2 smartphone holders while it charges. $15.99!